She's Fantastic: Star Wars Toybox - REY! Star Wars Toybox - REY! I'm kind of excited to see what the future of this new Disney Toybox series brings. 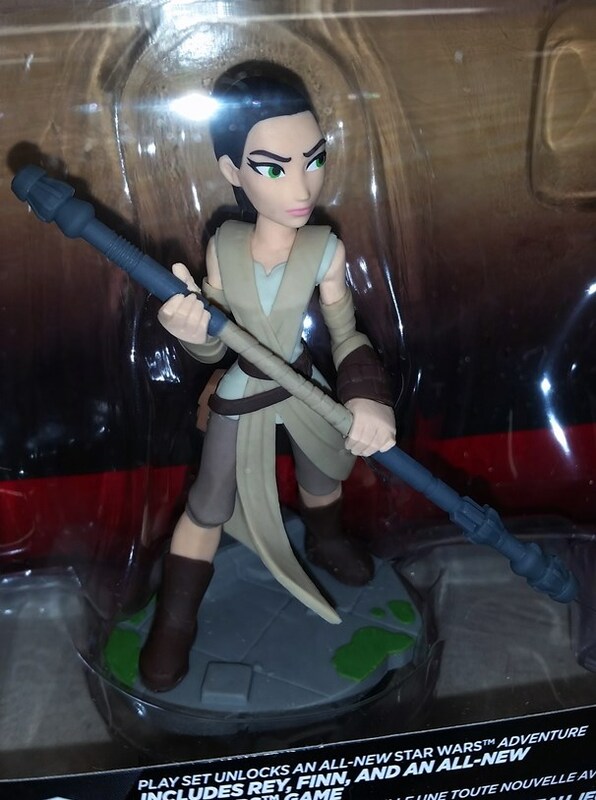 While I'm not a huge fan of the stylistic design of this Rey figure, some of of the other Infinity characters looked pretty cool. So far, the sculpts of the Toybox figures have been based off the Disney Infinity video game collectible figurines. 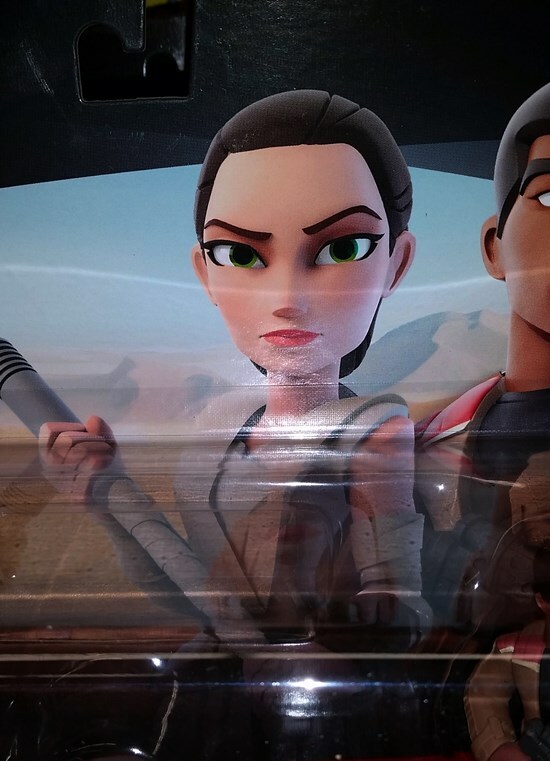 I always thought a lot of the character designs looked really weird and angry, like this Rey for example. But other characters, like Captain Marvel, Spider-Gwen, Gamora, and White Tiger look pretty awesome. The insert inside the packaging hint at ten additional figures on the horizon (spread across all three branches of the line: Marvel, Pixar, and Star Wars) and four of them appear to be female. The production quality is really great so my hopes are high for some fun new figures. I bought this Rey just to check out the articulation and overall quality, and I'm very impressed. The plastic has a certain animated quality to its texture that's hard to explain. Can't wait to see what's next. Let's check out Rey below! So if the gender silhouettes on the paper insert are to be believed, there should be two female Marvel figures, one Pixar, and one Star Wars coming soon. I snapped these pics of the Rey figurine from the Disney Infinity line the other day. Here she is with a whole bunch of Jedha Reys. From Left to Right: 3.75" Walmart, 6" Black Series, Toybox, Elite Series, and Galactic Heroes. And with the Hasbro 12" and Limited Articulation 6" figures.